I knew I wanted to attend another “Come and Sing” day, so discovering that The Bach Choir were holding one in the Royal Festival Hall (as part of the Southbank Centre‘s Chorus Fest) was perfect. The music was Elijah; a piece I knew not at all, but the story I knew and loved and the Mendelssohn I knew generally seemed rousing and enjoyable. With that information I decided to go for it and bought the score and a copy of the music to listen to. Just a brief look at the score revealed how tricky it would be. Lots of passages with every voice part singing something different. Lots of repetition of words yet changing either the tune or the rhythm. The challenge seemed huge. Still, I had help from my singing teacher, who went through some of it with me. I also used the CyberBass tracks to help pick out the Alto line and I made the problem smaller by asking for the list of cuts in advance (it’s a big piece, a day wouldn’t be enough for it all). I also bought myself a folder to put the score in. Putting it in there was also a challenge(!) but it made holding and following an otherwise very floppy book a lot easier. Thus prepared we* arrived at the Southbank Centre full of excitement. As part of the many events of the festival there was a vocal warm up that morning so we joined in for a fun physical and vocal warm up that ended leaving me feeling relaxed and ready for anything. 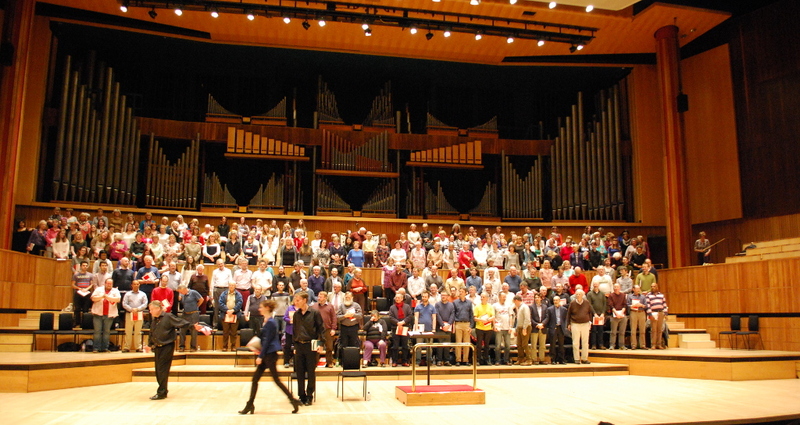 Next I trooped up the stairs to the Royal Festival Hall and I took my seat in the choir. Another (more technical) warm up and we were off, starting at the beginning and working on way through under the direction of our conductor. By lunchtime I felt exhausted, but the morning had gone well and I was pleased that we had spent longest working on the movements I’d had most trouble with at home. Refueled by a wonderful hog roast (it’s all in the sort of bread, in this case a large ciabatta roll) we reconvened to continue our work through the afternoon. As with the previous “Come and Sing” day I had attended, the Bach Choir members were scattered among us, and I had made sure that I was next to one to give me a strong voice to listen to (she was a very lovely lady too). This plan faltered when for one movement the Bach Choir members were given a different part to sing to us ordinary mortals. Yet another challenge, to keep singing without that support and hope I ended up in the right place at roughly the right time (I did). Finally after a brief break we reconvened for the concert. 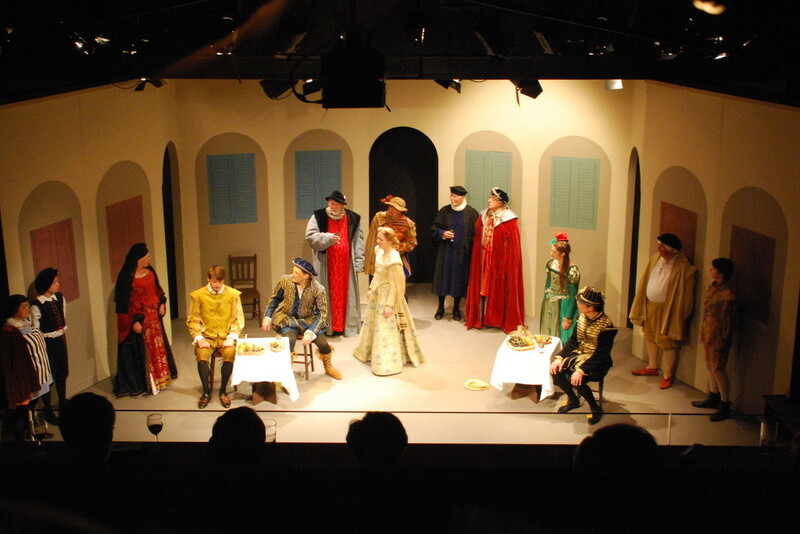 Our audience began to fill the stalls. A quick count suggested about two hundred people. Then the lights came up on us and we began. Again, it went by far too fast (as all shows do) until the final note and the applause. 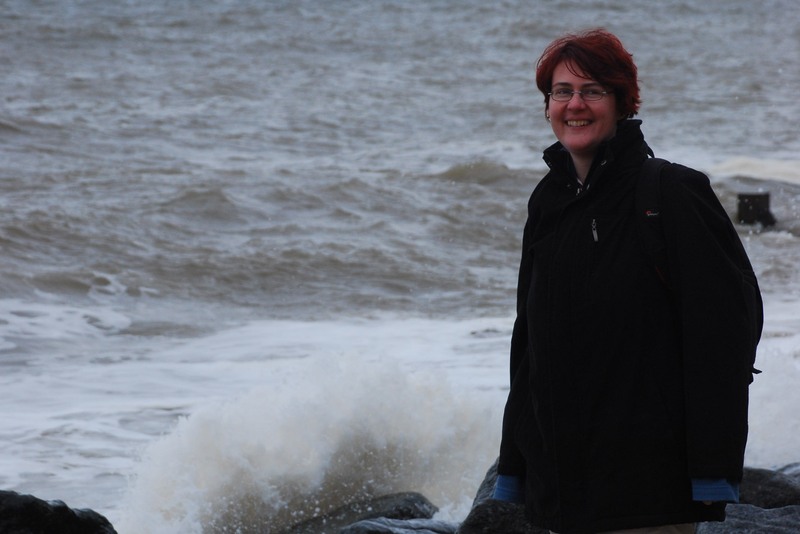 Then we managed to take time to relax, to take in the day, I felt happy, triumphant and amazed. 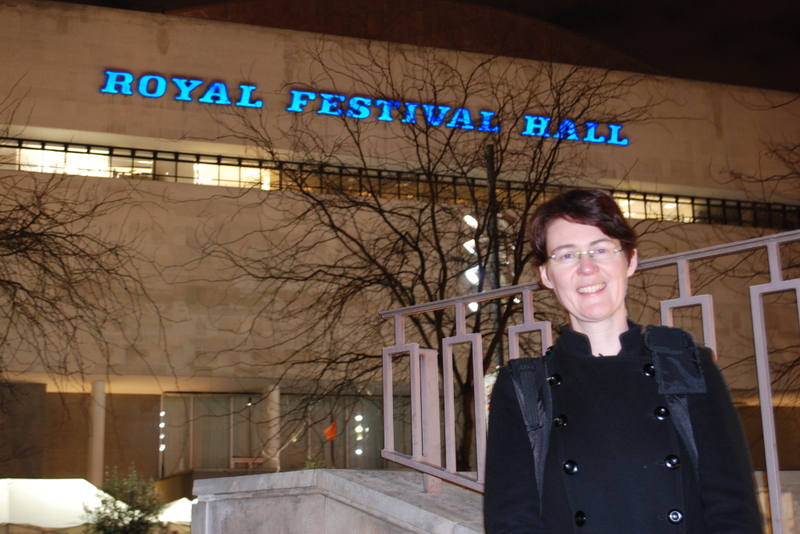 I have actually performed in the Royal Festival Hall – that makes for a very special day. *I brought James for moral support (and therefore at least one audience member) with me. I was initially incredibly hesitant when it was suggested that I might attend a “Come and Sing” day with The Bach Choir. However after closely examining the website and seeing that no prior experience was explicitly required I let people persuade me to give it a go. The music we were singing was Carmina Burana. I was sensible enough of my limitations to start by making sure that I bought a copy of the score and a recording so that I could prepare. I put the CD on for the first time in the car. As I drove I listened to the harmonies powering through the air I knew I really wanted to sing it. I spent the next few weeks listening to it carefully. I studied the score, learning the meanings of markings I’d never seen before. My singing teacher was wonderful, working through the alto part with me, and giving me confidence that I knew the tune. Still on the day I was nervous. I made the calculated decision to sit near the front. As suspected that meant I had to sing first alto, when I’d rehearsed second. However it meant I had a clear view of our conductor. 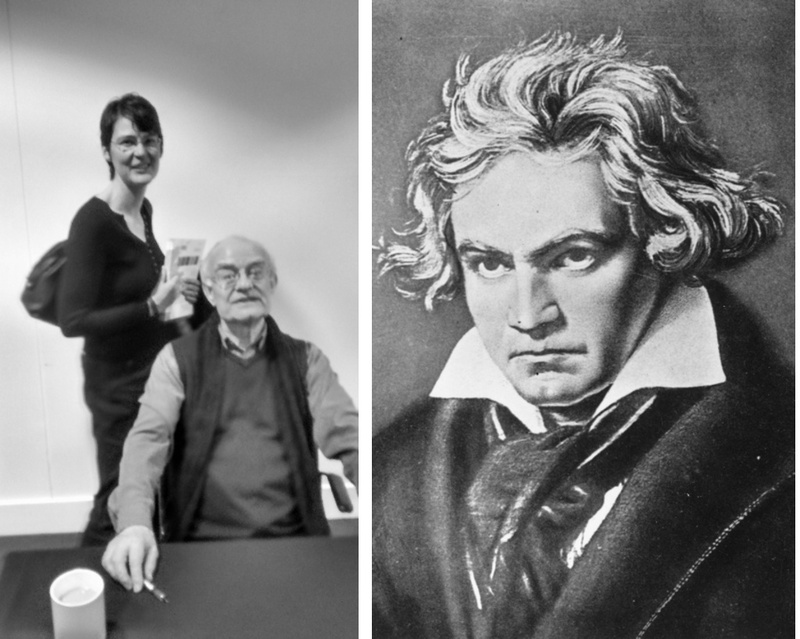 He was wonderful; patient with the limitations of what must seem a motley rabble compared to the full Bach Choir. He took us through the piece strengthening it and our confidence. 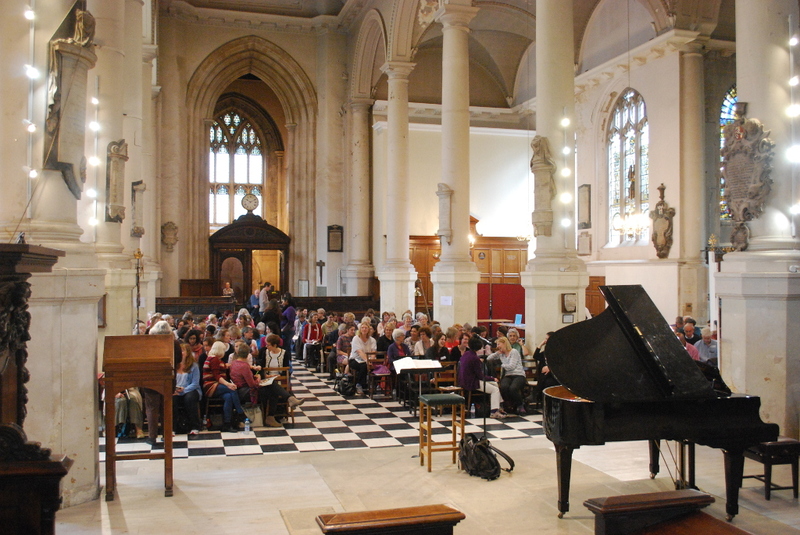 The members of the choir sitting among us were also invaluable in helping keep us all on track. In the end the conductor decided to add in a movement that had been listed as excluded on the website. An interesting challenge for me as I had not prepared that piece at all. I certainly struggled compared to the rest and was glad I had taken the time to prepare for the day. However it was not an impossible challenge and I certainly felt able to have a go at it. A little after four o’clock we were ready to perform for our select audience. We stood up, took a deep breath and we were off. The music carried us along and we sang until all too soon it was over. My first choral singing, my first concert and an amazing and incredibly enjoyable experience. I started the day very uncertain of myself, I left feeling very happy but also with a list of things I want to work on before next time. Yes, I did say next time, I definitely would like to attend another such day again. I’d certainly recommend the day to anybody. If you already sing in a choir then I’m sure you’d enjoy yourself a great deal. If you don’t then I’d really recommend it as a great way to learn more without having to commit to joining a choir. For me also, the advantage of a day like this over visiting a local choir rehearsal was that people didn’t already know each other, you did’t have to walk into a room as the only stranger. Equally I wasn’t the only person new to the piece of music, we were all muddling though (quite successfully) together. That helped my confidence and that helped me sing out with a huge smile on my face. They said “Come and Sing”. I really did. So our pantomime has finished. I have already talked about how I learn my lines for a play but for the panto I had also to learn several songs and accompanying dances. Of course learning a song largely involves listening but as I struggled to learn the lyrics (you try memorising “rama lama lama ka dinga da dinga dong”) I spent time poring over a lyric sheet, learning them as if they were lines. I already know I’m a visual person. I am the reviewer of any document most likely to say “Can you add a diagram to that”. I learn lines from how they look on the page. Suddenly, I had a revelation. I sat down and wrote out the choreography (in note form at least) and laid it out alongside the lyrics I had already worked on. Now I had a way of identifying the gaps in my memory (which our choreographer could fill in for me), a way of learning and practising by myself and a crib sheet before the performance. Quite honestly, I’m kicking myself I didn’t think of it sooner. So the most important thing I learned from this was, no matter what you are learning you need to learn it in the way you learn best. Whatever that is. And for me writing this down is the best way for me to remember that lesson! Well I thought I should mention that I have found myself a new singing teacher. She’s a lovely lady and I’m looking forward to working with her. I had a trial lesson with her recently. It was in many ways different than I was used to, which is to be expected. However I think that is a good thing as it will stretch me in new and interesting ways. Indeed she got me to do several exercises, some familiar and some which were completely new to me. The only drawback is that the summer holidays are upon us, so I will have to wait until the Autumn to get started with her. I’m looking forward to it immensely. I’ve had my last singing lesson. Not for ever I’m sure but certainly for now. My singing teacher is leaving the area and so my lessons have come to an end. I’ve known about this for some time but with the play having been taking up my attention I’ve not acted on that information. Now however, I have to think what to do next. Keep practising of course and also somehow find somebody who I can have a good rapport with who can help me achieve the things I want to with my voice.